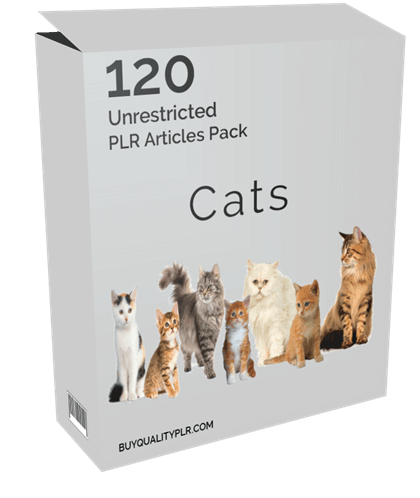 In this PLR Content Pack You’ll get 120 Unrestricted Cats PLR Articles Pack with Private Label Rights to help you dominate the Cats market which is a highly profitable and in-demand niche. 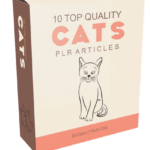 These Cats PLR articles are available in Text file format and can be downloaded instantly after purchase. 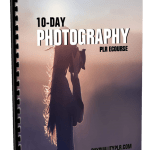 Who Can Use This PLR Article Pack? What Can You Do This Cats PLR? Resell it as an E-course. Use it as blog posts. Create an ebook, video or report to resell or use it to build your email list. Create any kind of info product which you can resell with a personal use license. Cats are very good at communicating. Taking time to understand exactly what your cat is saying will make your relationship stronger. A bristling tail held straight up, or one that thrashes back and forth are warnings. If a cat is feeling defensive, the tail is usually arched. Hissing and backing away with ears flat against the head are other defensive poses. You can tell a lot about a cat’s state of being from its eyes. Wide, dilated eyes communicate anger or fear. A contented cat slowly blinks its eyes, or keeps them half-closed. When it comes to sound, cats say more than meow. Did You know there are at least nineteen different types of “meow”? Their vocalizations fall into three groups, murmurs, open/closed mouth and intensity sounds. Murmured sounds include the low sound cats make when treats are coming, as well as the famous purr. Purring is usually interpreted as a sound of contentment, but it is really more a vocalization of intense emotion. In fact, an injured cat, or one being handled by a stranger – like a vet – often purr. Open/closed mouth vocalizations include all the variations and intonations of “meow” that a cat uses to greet you, or ask for food, or otherwise demand attention. Intensity vocalizations are created when the cat holds her mouth open the entire time she is making sound. These are the highly emotional vocalization of fear, anger, and extreme pain. Some cats are more talkative than others. 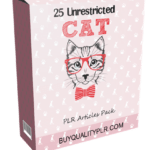 How to Purchase This Cats PLR Pack? 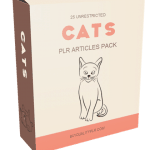 We will only be selling 50 copies on this Cats PLR content pack, so don’t waste any time and grab your PLR license while it’s still available for sale.